Bouthier Sain Trojan – Cognac – Nouvelle-Aquitaine region. In 1952, Jeannine and Jacques Chollet set their sights on a small farm near Cognac, in the commune of Boutiers St-Trojan. The farm comprised of about ten hectares but with very few vines. They developed their business by investing in a herd of cattle, pigs and planting vines. Always ready for a new challenge, they decided to build their own distillery in 1971 where they could distil for both wine growers and merchants. As soon as the building was finished the first cognac was produced and the du Planty distillery was born. In 1995 their wine and agricultural activity was separated from that of the business. 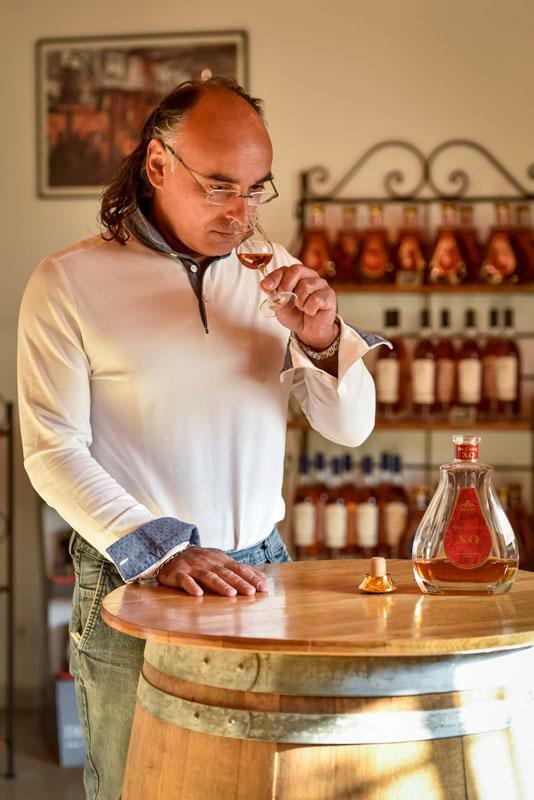 In 2008 Thierry Chollet took over management of Cognac Chollet, thus continuing the family tradition. Maison Chollet is a small link in the Cognac chain, but our status as a merchant, our infrastructure, experience and expertise guarantee that we make products of recognised quality. Maison Chollet aims to travel and share its riches across the world (97% of Cognac is exported) in order to present its passion and expertise beyond national borders. Trading is the heart and foundation of the Cognac Chollet business. The company buys batches of wines, brandies and pineau of different crus from meticulously selected winegrowers. This method enables abundant supply and a selection of the best brandies from different crus, used for blending to create the finished products. All of these batches are tasted, selected, assembled, processed and then matured in cellars before being bottled on site with the greatest care.